Alcoholic and non-alcoholic versions of a festive party drink with tricks to make them extra easy and extra special. 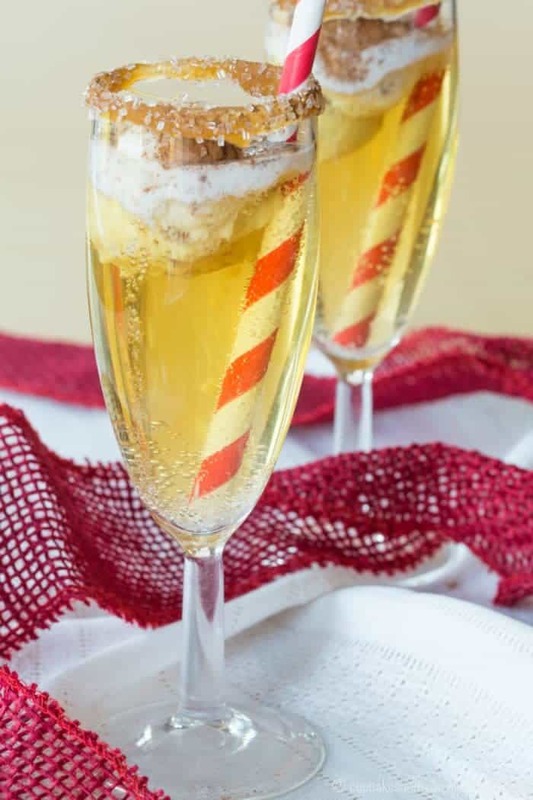 Sparkling Apple Cider Floats are a fun and easy drink recipe perfect for a holiday party. Use hard cider to make a cocktail or sparkling cider for a non-alcoholic mocktail. 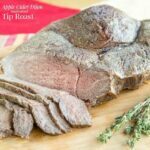 There are also a few simple tricks to make them extra simple to prep ahead of time and extra special. Add festive fun to the holidays when you serve these fizzy apple cocktails or mocktails to your family and friends. Plus, apple cider ice cream floats also make a delicious dessert for kids and adults! Well guys, it’s my last new recipe of 2016. 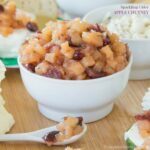 I’ll have a couple of year-end favorites and maybe even a collection of healthy recipes to get you geared up for all of those new year’s resolutions, but for now, I want to celebrate. I want to celebrate surviving the year with all members of my family pretty much in one piece. No joke, guys. Let’s see, we have several surgeries and procedures for the Hubby, some testing for The Bug, a broken foot for me, and let’s not forget my thyroid cancer scare and surgery. And, since it’s just been that kind of a year, of course we had to end it with me waking up to a thud in the middle of the night and sending my hubby off to the ER in an ambulance because he fainted as the onset to a stomach bug. Yes, I married a fainter. And yes, I totally freaked out. But he is fine now. I want to celebrate my accomplishments. Despite all of this, I kept plugging away at this li’l ol’ blog. I still have so much to learn, so many ways to improve, but I’m still flabbergasted that I get to call this my job. 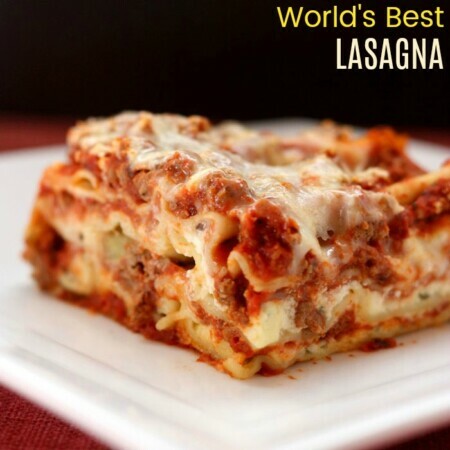 I’m ready to get back into the kitchen after the holidays to create more yummy food, and yes, definitely more videos too! I want to celebrate that the Hubby and I celebrated that we have made it to ten years of marriage. We went on a Royal Caribbean cruise, which allowed us to disconnect and reconnect, and of course enjoy plenty of good food and Mango Lava Flows. 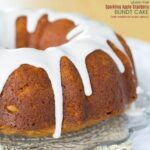 I want to celebrate you, the awesome folks who read my random ramblings, looks at my pictures, and most of all, pin, share, and especially try my recipes. 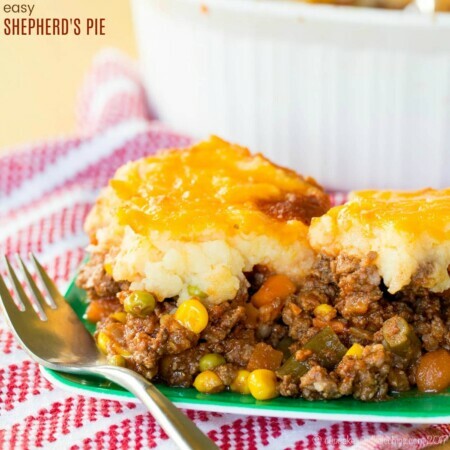 I couldn’t do this without all of you, and I am so humbled that you would come get recipe ideas from a former chemical engineer who learned all of this in her own kitchen (and from watching lots of Food Network). You visiting my site allows me to have a career that gives me both joy and a creative outlet, the flexibility I need for my family, and the ability to manage all of the curveballs of life I mentioned earlier. Thank you, thank you, thank you, and cheers! Before the party, line a cookie sheet with wax paper or parchment paper. Then scoop little balls of vanilla ice cream or frozen yogurt with a cookie scoop (you can even try my Vanilla Bean Cheesecake No-Churn Ice Cream for an extra indulgent treat) and place them on the sheet. 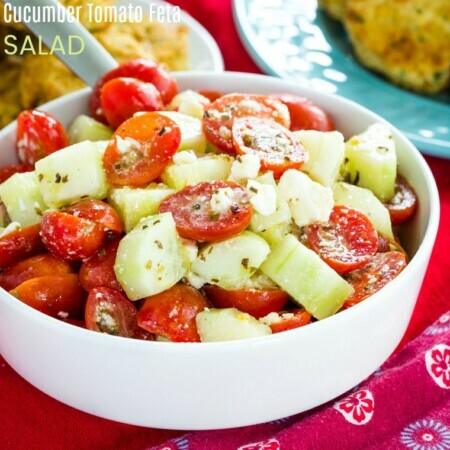 Looking for some bright, springtime flavors and colors? 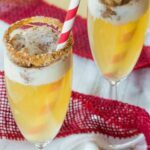 Try making Sparkling Cider Rainbow Sherbet Floats. Sprinkle the ice cream scoops with cinnamon sugar, and pop them in the freezer. Regular sugar works fine but I used sparkling sugar for an extra festive touch. Then grab some flutes or glasses, dip the rim in caramel. You can make Homemade Caramel Sauce or use your favorite jar. I like the Smucker’s Simple Delight Salted Caramel because it tastes amazing and has no artificial flavors, preservatives, or high fructose corn syrup, so it doesn’t have the fake taste of some other jarred caramel sauces. After coating the rim in caramel, dip it in more of the cinnamon sugar. When it’s time to toast, just pour the cider into the prepared glasses, pull the ice cream balls out of the freezer, and drop them in. Because you’ve frozen the individual balls of ice cream in advance, there’s no need to let the ice cream soften, and they don’t completely melt the second you drop them in the cider. As I mentioned, you can make these as a cocktail by using hard cider. I’m partial to Strongbow. 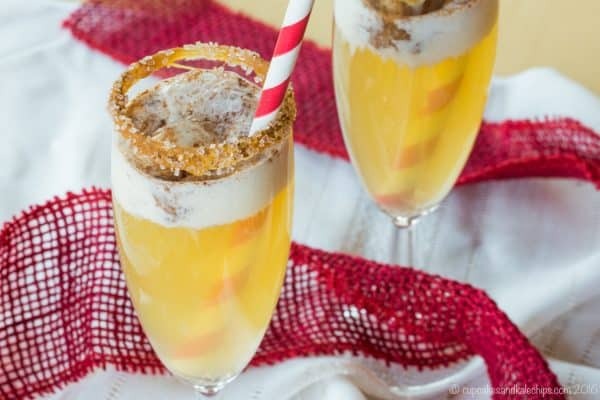 But they are also kid-friendly when you make a mocktail using sparkling cider. What can you make with sparkling apple cider or hard apple cider? 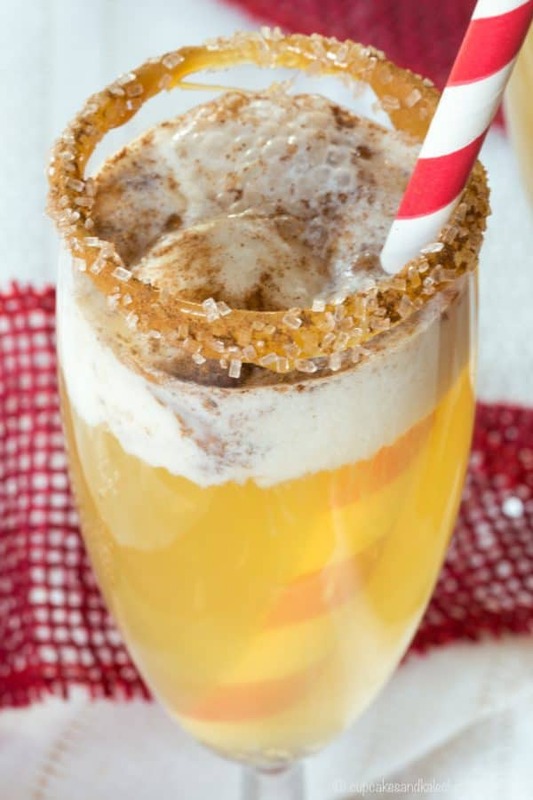 What do you need to make Sparkling Apple Cider Floats? 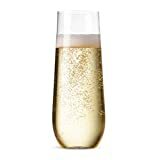 CHAMPAGNE FLUTES – I was lucky enough to find some inexpensive champagne flutes for about 25 cents each at Ikea awhile ago and I stocked up to always have them on hand for a celebration. You can check your local Ikea, but if not, these shatter-proof stemless flutes are less than a dollar apiece. 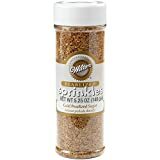 SPARKLING SUGAR – I mention the sparkling sugar in my tips above, but this gold sugar will add a little extra holiday sparkle. 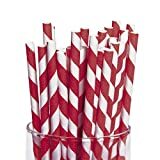 STRIPED PAPER STRAWS – safer for the environment than plastic straws and available in colors and designs for any holiday or occasion, you can dress up any drink with striped paper straws like these red and white ones. Apple Cider Ice Cream Floats are easy enough to not even really need a recipe. But a few tips and tricks make them a little more special, and super easy to get all of the components prepared ahead of time so that when it is time to party, you are ready to go. First of all, you can make these alcoholic or non-alcoholic so that everyone can enjoy them. They are fabulous with hard cider, like Strongbow, which is my favorite. But they are equally yummy in a kid-friendly mocktail version with sparkling apple cider. Using a small cookie scoop, melon baller, or spoon, place 8-12 (depending on the size and if you want two or three scoops per glass) scoops of ice cream onto the baking sheet. Using some of the cinnamon sugar mixture, sprinkle cinnamon sugar on top of each ball, pressing in if necessary. Place the sheet with the ice cream balls in the freezer for an hour or two. Pour some of the caramel into a small bowl. 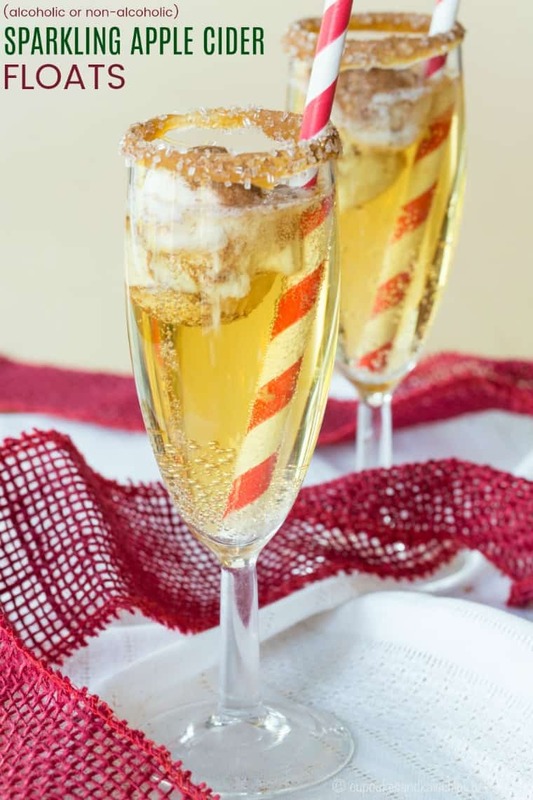 Dip the rim of your champagne flutes or glasses in the caramel and then into the cinnamon sugar mixture. Set aside until ready to serve. When ready to serve, pour about 6 oz. (3/4 cup) of the cider into each of the prepared glasses and add two or three ice cream balls to each glass. OMG! 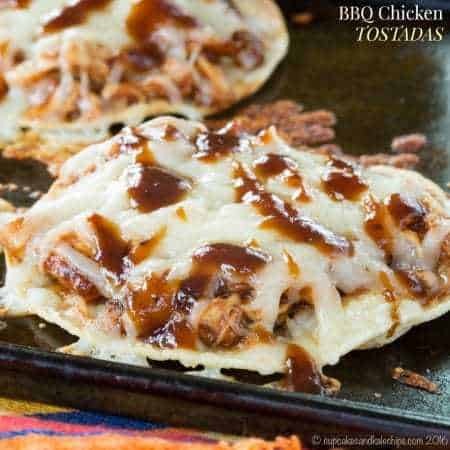 I want to try those!